Ten lucky TTNers got free tickets (usually $48) to attend this huge International art fair at the Park Avenue Armory. 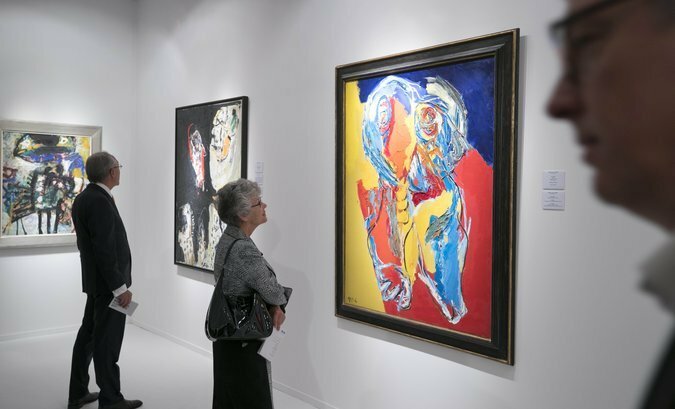 The theme was Modern and Contemporary Art and Design, but it also included antiquities, and works by earlier artists like Leger, Pablo Picasso and Alexander Calder. The Fair was “a feast for the eyes!” Don’t forget to act lickety-split when there is a limited TTN offer! 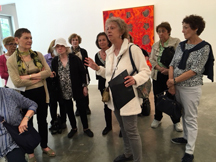 What’s better than a gallery tour in this super-hot area with your fellow TTNers -- led by TTN’s own favorite guide, Tina Weintraub??? Not much! These great tours were no exception, and were open to twice as many people as usual, because it was offered on two dates. Good thinking, as they frequently sell out! Once again, jump on these opportunities as soon as they are listed! Another terrific Orientation reminding us how to make the most of TTN Membership. Led by Executive Director Susan Collins, these monthly webinars go through all of the resources offered to TTNers, and tips on how to use them all. A good refresher for longer term Members as well. Partnering with The Three Tomatoes, this was a celebration of the new novel by “Head Tomato”, Cheryl Benton. A lively and enthusiastic gathering with plenty of music, food and good cheer to welcome the publication of Cheryl’s new novel. The TTNers who attended enjoyed meeting more Tomatoes, and we also signed up at least one Tomato as a TTN member at the event! 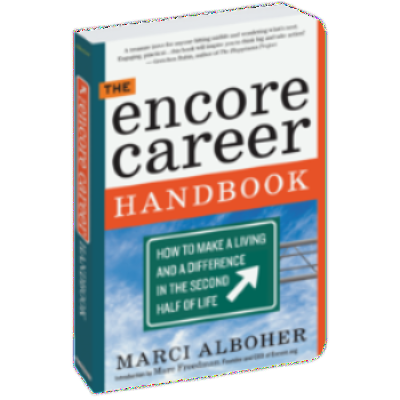 A program from our partner, Coming of Age NYC, author Marci Alboher spoke about how to make the most of a longer life, based on her book "The Encore Career Handbook: How to Make a Living and a Difference in the Second Half of Life." An inspiring and motivating session! Haven’t you joined the Caring Collaborative yet? Whoa! If not, you have missed perhaps the most important benefit of TTN. All you have to do is register and attend an Orientation. Not formidable at all, it gives you all you need to know about how to receive and give help, join groups in your neighborhood, and be part of this super community within TTN. We look forward to welcoming you into the CC! Look for the next CC Orientation on our Chapter Events Page.